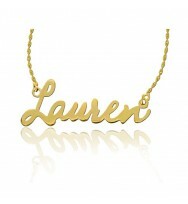 Name necklace in gold plated sterling silver. 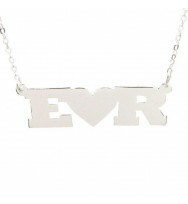 This item is hand cut which gives the necklace a unique meaning. 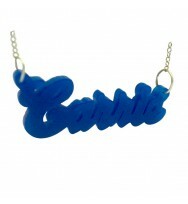 Our name necklaces are never laser cut which preserve them from a low-end quality finish. 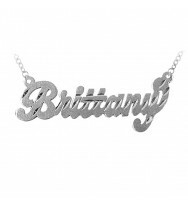 If you are fine with your current custom name, add the item to your cart to start the checkout process. 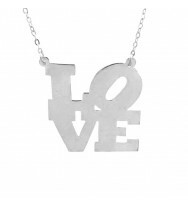 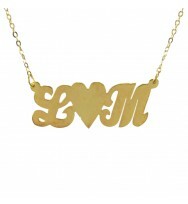 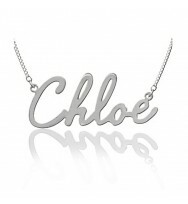 You can customize this name necklace with any name from 3 to 10 letters. 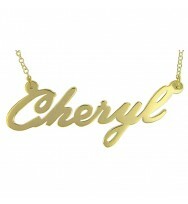 Please allow about 14 business days for delivery. Dimensions: 1" - 1 1/2" approx, depending on the letters chosen. 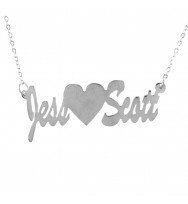 Also included a silver 18" chain. Since this is a custom-made item, there will be no return for mistakes made by the customer. 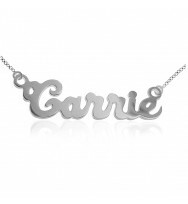 Be sure to include any information about special capitalizations or abbreviations. Note that by default, the first letter will be capitalized. 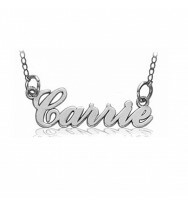 Please mention when ordering if you need any special capitalization.